How should I invest my retirement savings for safety and income? I plan on retiring within the next year or so with about $250,000 in my retirement accounts. How do I invest that money for monthly income without going through my assets too quickly?--R.R. The way you phrase your question suggests that, like many people, you see tapping your savings for retirement income primarily as an investing exercise. In fact, you really ought to be thinking more broadly about how to create a comprehensive retirement income plan. That's not to say that how you invest your nest egg shouldn't be part of a broader strategy for turning savings into reliable income. It should. After all, you don't want to spend your retirement worrying whether the next market setback will decimate the nest egg you worked an entire career to build. But an even more important part of that strategy is deciding how much you can reasonably withdraw from savings in 401(k)s, IRAs and other retirement accounts each year without running too high a risk of depleting your assets too soon -- or ending up with a large pile of assets late in life and realizing that you unnecessarily stinted and might have enjoyed life more earlier in retirement. So how do you balance these various concerns? Well, since you asked about investing, let's start there. Many people believe that once they retire, they need to focus on "income investing" -- that is, putting most or even all of their savings into investments that generate regular payouts, such as bonds or dividend stocks, or a combination of the two. But this approach has serious shortcomings. For one thing, at today's low interest rates bonds simply aren't likely to provide enough income for most people to live on even in the early years of retirement, let alone allow them to maintain their purchasing power in the face of inflation during a post-career life that, as this longevity tool shows, could easily last into their 90s. And while dividend stocks can certainly play a role in your retirement income strategy, loading up on them too much could leave you with a stock portfolio dangerously skewed to a handful of market sectors, such as utilities, consumer cyclicals, financials and real estate. A more balanced and diversified approach makes better sense. When it comes to stocks, you essentially want to own the shares of companies of all sizes (large-, mid- and small-caps) in all sectors and industries. You also want your portfolio to include both growth and value shares. Diversity is important for bonds too. You want to own not just corporates, but Treasury and government agency bonds, and you want them in a variety of maturities as well. The easiest and most inexpensive way to get this type of broad exposure is by investing in a total U.S. stock market index fund or ETF and a total U.S. bond market index fund or ETF. (To diversify beyond U.S. borders, you can add a total international stock index fund or ETF and total international bond index fund or ETF.) Or, if you're willing to put in the time and effort, you could try to duplicate a total market portfolio by investing in several separate stock and bond funds or ETFs, with each offering exposure to a specific sector of the market. Of course, you can always go beyond this basic approach -- say, tilt your bond holdings more toward short-term maturities by investing in a short-term bond fund to get a bit more protection against the possibility of rising interest rates or add more dividend stocks to your mix by buying a fund that specializes in shares that pay dividends. But you don't want to go crazy and bulk up on all sorts of arcane or offbeat investments. Generally, simpler is better. The more complicated you make your investing strategy -- and the more funds you add to your portfolio -- the more work you'll have to put into tending your investments, and the greater the risk you'll end up "di-worse-ifying" rather than diversifying. There's no single stocks-bonds blend that's right for everyone. That said, many retirees see stocks-bond mix of anywhere between 40% stocks-60% bonds to 60% stocks-40% bonds as offering a reasonable shot at solid long-term returns with sufficient downside protection from severe market setbacks. You can get a better sense of what percentage of stocks and bonds might be right for you by going to Vanguard's free risk tolerance-asset allocation tool. 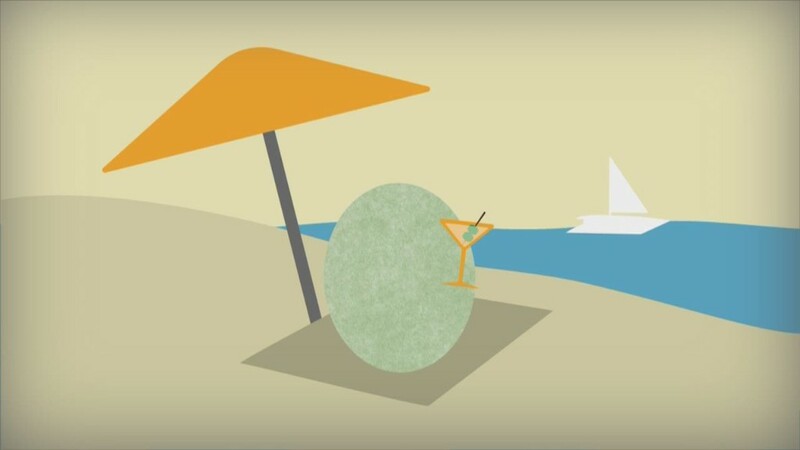 Once you have a broadly diversified mix of stock and bond funds that can deliver reasonable returns for the level of risk you're willing to take, the question becomes how should you withdraw from your nest egg each year? The rate at which you withdraw money from your nest egg determines even more than your investing strategy how long your savings will last and how much you'll likely have left late in retirement. So what's a reasonable withdrawal rate? Assuming you want your savings to last at least 30 years, the standard advice until a few years ago would have been to follow the 4% rule -- that is, withdraw an initial 4% of the value of your nest egg the first year of retirement and then increase that amount each year for inflation. Assuming a $250,000 nest egg, that would translate to an initial withdrawal of $10,000 the first year of retirement. If your portfolio generates, say, 3% of its value, or $7,500, in interest, dividends and other distributions, you would then sell shares worth $2,500, or 1% of its value, to get to the 4%, or $10,000, withdrawal amount. If inflation is running at 2% a year, you would boost each year's withdraw by 2%, which would mean withdrawing $10,200 the second year, $10,400 the third and so on. Given projections for lower investment returns over the next decade or so, however, some retirement experts suggest that an initial withdrawal rate of 3% or so might be more appropriate if you want to be reasonably sure that your savings will carry you through 30 years of retirement. But whatever withdrawal rate you start with, you need to be prepared to adjust it as market conditions change and the value of your nest egg fluctuates. If, for example, the financial markets go into a deep slump or your nest egg's value takes a hit because you make an unusually large withdrawal to handle a large unanticipated expense, you might need to forgo an inflation increase or even reduce the amount you withdraw for a few years to give your portfolio a chance to recover. Conversely, if a string of outsize returns pumps up the size of your retirement accounts, you may want to boost withdrawals to avoid having far more assets than you'll need late in life. You can get a sense of whether you need to adjust your withdrawals up or down with a good retirement income calculator that uses Monte Carlo simulations to estimate how long your money will last. There's one other move you might want to consider. If you feel you'd like more guaranteed lifetime income than you'll already receive from Social Security and any pensions, you could put a portion of your savings into an immediate annuity. As this annuity calculator shows, a 65-year-old man who invests $50,000 in an immediate annuity would receive about $270 a month for life. The downside to this approach is that you'll typically have to give up access to the money you invest in such an annuity, which is why you wouldn't want to put all or probably even most of your savings into one. The upside, though, is that knowing you'll be able to count on those monthly annuity checks to come in no matter how long you live and regardless of how the market is behaving might take some of the anxiety out of investing the rest of your nest egg. The most important thing you need to remember, though, is that when it comes to converting your nest egg to reliable retirement income, you need more than just investments. You need a plan.